RootsTech 2018 is just around the corner, and you will not want to miss it. Even if you cannot attend in person, there are still many ways to be part of this uplifting and educational family history experience. Here are a few ways you can participate, be inspired, and get help in your calling as a temple and family history consultant. Watch the family history leadership session. The leadership session features messages specifically for you from Elder Quentin L. Cook and Elder Dale G. Renlund as well as from other General Authorities and Church leaders. You can watch this session live on Thursday, March 1, 2018, at 7:00 p.m. mountain standard time on LDS.org. After the live session, a recording will be available on LDS.org and RootsTech.org. Watch the live stream daily. Join in on several of RootsTech’s best class sessions with the daily live stream on RootsTech.org. A select number of sessions will be streamed online each day of the conference. Obtain a discounted pass. Discounted passes are still available for temple and family history consultants to attend RootsTech, held February 27–March 3, 2018, at the Salt Palace Convention Center in Salt Lake City. Use the promo code 18CALLING to reserve your pass for the full conference. A full conference pass gives you access to over 300 classes, including 17 classes designed specifically for temple and family history consultants. Sign up for a personalized family history experience. As a temple and family history consultant, you are invited to meet with a representative from the Family History Department, who will prepare a discovery experience just for you. The representative will also share ideas and insights for teaching family history to others. Sign up for your one-on-one experience here. I thank you for all these extra help you extend to us family history consultants. Do you plan to have anything on indexing too? I appreciate your assistance in my callings as Leader- temple and family history consultants and Stake leader for indexing. Thanks again. June Post Robinson Perkins of Acton, California. Are people who put their carefully documented family trees into Family Search aware that ANYONE can change or add rubbish to their tree with incorrect information? AND that you cannot delete those items or delete people or remove your family tree once it has been posted at Family Search?! I made the mistake of putting my large family tree on Family Search and totally regret it. I’m ready to scream now because I can’t get my own tree removed from this site so that it cannot be further corrupted. FamilySearch uses a global tree, which allows people from around the world to collaborate and share progress, but it also means that any misinformed changes made by users likely impact other users. You can delete any person records you create, but you cannot delete any person records created by other users to prevent deleting someone else’s valuable family information. However, you can remove relationships tying two people together if they were incorrectly added. You can also contact the users that made changes to discuss the changes made. I personally recommend keeping a private record of your family research along with FamilySearch’s global tree to gain the benefits of both. You actually cannot delete some comments you make re relationships .. I have tried and requested removal and family search refuses to remove my comments . If I did not think we had that option I would not ever have posted anything on there to begin with . I erred in one post and they will not remove it . Camillia, can you explain what you mean by deleting comments? Are you referring to comments you left on a person’s file, are you referring to changes you made to relationships in the tree, or are you referring to something else? What is happening on the 27th? I thought it started on the 28th? Darwin, early check-in starts Tuesday to help prevent long lines on the 28th. Hope this helps! I should have said: Is the Expo Hall open Tuesday? Darwin, check-in will be open at the Salt Palace Convention Center from 12 pm-6 pm, but nothing else will be going on until Wednesday. Darwin, the Family History Library is a great way to start the week of RootsTech! Bettina, while not all classes at RootsTech will be available online, those that will be available online will be free. I hope this helps! I haven’t ever done a live streaming. So I have some questions. I know I have to go to the Roots Tech website but how do I live stream the presentations. Do I just click on the class or do I need to do other things? Can any computer do the live streaming? Karen, you can stream the classes from your computer. To watch the live stream, go to the homepage of RootsTech.org on Wednesday, February 28. Live stream sessions begin at 9:30 a.m. MST that morning. To watch the stream, simply click the play button. Do I have to register for the conference to stream the videos? How do I find the videos? How do I register to find out if someone at rootstech2018 is doing research on my line? Yakim, you can register for RootsTech here. What do you mean by finding out if someone at RootsTech is researching your line? 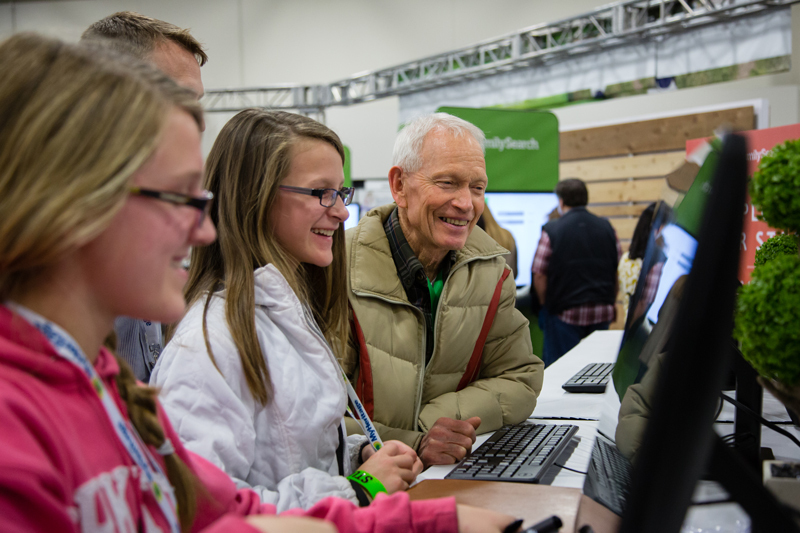 Are you referring to the opportunity to get personal help with your research at RootsTech? How can we download the handouts for the online streaming classes that have them? Diane, I don’t know if the streamed classes will have handouts available to download, but these FamilySearch classes do have some content available to download. Thanks again for streaming these for us who can not go. Does anyone know whether there will be a provision to rewatch missed streamed sessions? I just found out that someone expects me to do something else this week instead of being able to watch most of them! Information on this will be much appreciated. The classes listed will be recorded and posted for later viewing. I hope this helps! Thanks for the wonderful personalized family history experience at RootsTech. I learned so much in just one hour! Is it OK if I use the LDS handouts from RootsTech to train our Stake Consultants? I was under the impression that if the handout has the FamilySearch logo it would be OK to use it for church purposes, but want to ensure it will be OK. Thank you.